Welcome to your Chandler homes and market information real estate portal. Your one-stop-shop for all things real estate and more! Chandler, Arizona, founded was Dr. A.J. Chandler in 1912. Dr. Chandler was the first veterinary surgeon for the territory of Arizona. Prior to founding the town, Dr. Chandler in 1891, purchased 80 acres of land and by the turn of the century, owned an 18,000 acre ranch. Because the Salt River Project only allowed irrigation to 160 acres, Dr. Chandler advertised nationally, the sale of Chandler Ranch sites. The sale resulted in the beginnings of the Town of Chandler.The historic Hotel San Marcos opened its doors in November of 1913 and is the site of Arizona’s first golf course. Chandler’s population has grown from 9500 in 1960 to over 240,000 in 2013. Chandler is home to the annual Ostrich Festival, Chandler Jazz Festival, 4th of July Fireworks Spectacular, Halloween Spectacular, Woofstock – The Great Chandler Dog Walk, and Tumbleweed Tree Lighting Ceremony, to name a few. There’s something for everyone here in Chandler, Arizona! Own a small plane? Chandler is also home to Chandler Municipal Airport for all our flying enthusiasts! Chandler home values vary from zip code to zip code as does the median sales price. Curious about Chandler schools? Chandler Unified District has 42 schools starting from elementary to high school, and private to public and everything in between. Greatschools.org ranks Chandler Unified District 8 out of 10 greatschools. Chandler Arizona offers a variety of community amenities to fit everyone’s needs! The Chandler housing community consists of many subdivisions. 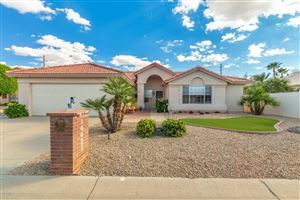 Chandler Arizona offers golf course communities such as San Marcos, Ocotillo, and Springfield, along with waterfront homes for sale. Chandler Arizona also has several retirement communities for those active adults who enjoy the sunny days of Arizona, whether as full-time residents or winter visitors, we have it all! Contact me today to begin your Chandler Arizona home search.